According to the publication of the Osteoporosis International Journal, calcium deficiency causes pain in the waist. But there are many other reasons for this pain. Always keep your body posture right. Waist pain increases because of the wrong way of getting up and running. Keep the digestion correct. The problem of waist pain increase because of upset stomach. Control weight. Due to obesity, there is a possibility of other problems with back pain. Posture: The wrong body posture creates back pain. Sitting: Sitting for a long time may create back pain. Obesity: Back pain might occur due to obesity. Weight Gain Food: Holding heavy stuff on back for long time creates back pain. Healthy Diet: If you don’t take healthy diet then bones becomes weak and one gets back pain. High Heal: Wearing high heals chappal or shoes may create back pain. 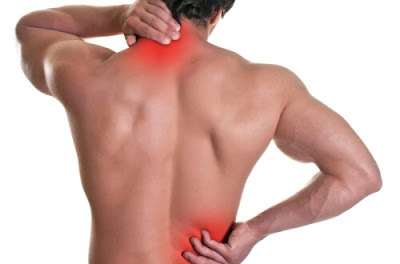 Tension: One gets back pain due to constant working or tension. Keep mustard oil in one pan. Mix ginger juice in it. Heat it on slow gas. When oil becomes lukewarm then applies it on back and do light massage. Fry the salt and cover it in cotton cloth. Apply it on back. This avoids back pain. Grind turmeric, fenugreek and amla. Drink it with lukewarm water. This gives relief from back pain.